Everyone is always talking about technological advancements and science constantly speeding up with each year. But why don’t we know how dinosaurs went extinct or if there was ever life on Mars? And what about space travel, hoverboards, and flying cars?! Ok, we’re not there yet, but here are some other recent discoveries that bring us closer to a bright future! - Paleontologist Robert DePalma found a huge slate in North Dakota filled with all kinds of fossils. This slate has tons of fish fossils, proving that the ocean was devastated by this strike. - Mars had multiple wet periods, the last one ending some 1 billion years ago. 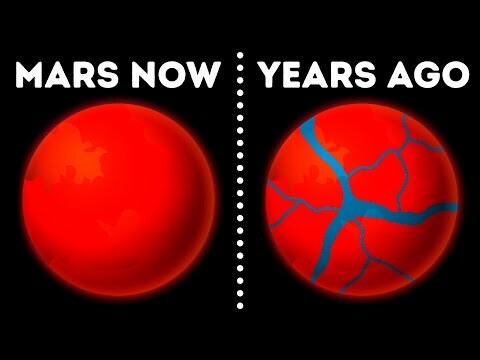 While these periods were active, Mars had rivers much wider than those on Earth, and their flow was constant for a span of over 4 billion years. - We now have ourselves a completely new orca species. At the moment, they’re called “type D” orcas. They’re pretty similar to their more famous cousins. But they have some distinct features, like a much more rounded head, smaller white eyepatches, and an overall smaller body size. - Little patches of coral grow 25 times faster than corals normally do! With this advanced method, it’s possible to transplant these corals to their natural relatives and watch those reefs live again! - There is a new way to prevent global warming. It is based on using hot liquid metal and liquid electrolyte to catch carbon dioxide from the air and turn it into solid carbon flakes. - There’s a great probability that the medical community will find a way to deal with Type One diabetes in the near future. The scientists from the City of Hope have all kinds of ideas in mind as to how they can cure this problem, from cell transplantation to growing these cells from scratch. - A team of researchers led by Stefen Skare and Tim Sprenger from the Karolinska Institute in Sweden came up with the idea of mixing MRI tests with the technology used in much quicker scanning called Echo-Planar Imaging or EPI. Why don't people stop searching about the breakthroughs in global warming research in such videos and Start doing something's that actually matters and saves the planet. So...what ever happened to those so-called CANALS on Mars?? They were so obvious at one time (oh..that was artists interpretations---just like these days with so many other space theory's)...?? Imagine if there never was a meteor which hit the dinosaurs... would dinosaurs still be here in 2019? Global warming, green gases is great lie! wake up guys! Didn’t Mars have an substantial atmosphere once? I recall hearing or reading something about how there’s evidence of nuclear fallout there. Can i get a love button from Bright Side ??? ?